Because there were no horses in Ukiah, the scouts and messengers travelled by foot, learning to keep pace even over icy terrain. To avoid being spotted, they prefer to travel under the cover of darkness. 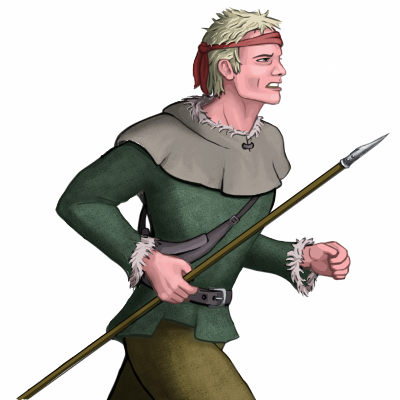 They can't carry heavy armor and supplies while maintaining their agility, so they are experts at the sling, a weapon for which they don't need to carry the ammunition. Because they are front-line scouts, they often must work with the dogs, and as a result, they have some influence on the moral of their canine colleagues. Last updated on Sat Apr 20 01:21:40 2019.